It’s an ancient cautionary tale passed down from generation to generation that it is the dregs of society (the psychopaths, the murderers and the artists) who like to do things alone, only to meet a Dickensian end in a dark, dingy house with cats for company, à la Miss Havisham. We often lose sight of the truth that we can be lonely in a room full of people and conversely not feel lonely when we’re alone. 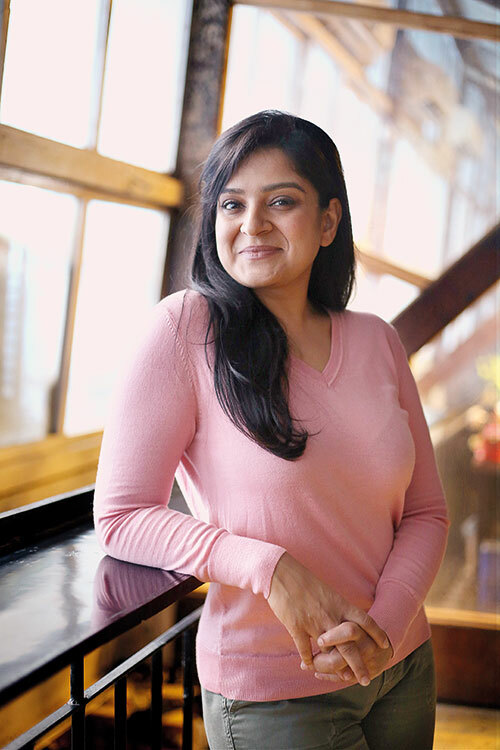 One of India’s top comedians, Kaneez Surka, feels most at home when she’s on stage. So Surka finds herself seeking as many comedy-related projects as possible. Her raison d’être for associating peace with performance stems from her childhood. “I recall how I was playing a nun at my school musical when I was around 13-14 years old. As I was singing my solo, and this may sound lame, I had an out-of-body experience. It was like I’d actually left my body for a few seconds and was looking at myself from the outside. It was a different level of elation. At that instant I knew that this was what I wanted to do for the rest of my life: be on stage.” Art demands the greatest sacrifice from the artist. But when the artist finds a way to elevate herself through art without repression, it creates a space where the body, mind and soul are in sync. Read Part 1 with Gauri Devidayal here. Read Part 3 with Teena Singh here.